Allows for the installation of a wind generator anywhere on your boat. 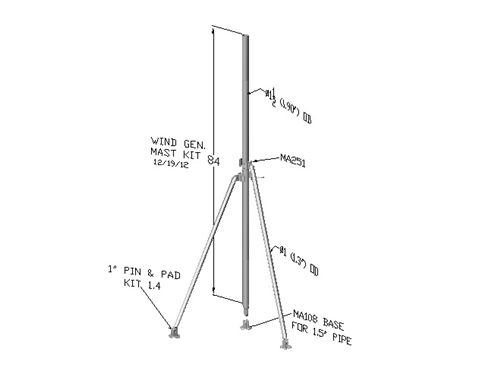 Kit includes all components needed to mount and support the stand alone mast. 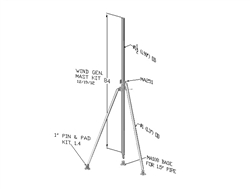 1 1/2" marine grade anodized aluminum mast fits many popular wind generator models. All materials sourced and manufactured in the U.S.